Jury awards and out-of-court settlements routinely run into the hundreds of thousands or even millions of dollars. Add to this the cost of legal fees and the expense becomes staggering. An unexpected catastrophe could result in a large judgment against your business. Without adequate protections, your business could be placed in serious jeopardy. A commercial umbrella policy could protect you against excess liability judgments for loss, injury, or even death caused by negligent acts resulting from your business operations. It is designed to provide liability protection over and above the business insurance policies you currently have. A commercial liability umbrella insurance policy can give your business added liability protection without a large added cost. Additional liability insurance is often inexpensive. Umbrella liability insurance acts like an umbrella, covering your business auto, General Liability and Workers Compensation policies with an extra layer of protection. In today’s litigious society going without this protection puts everything you’ve worked so hard for on the line. Why take the risk? 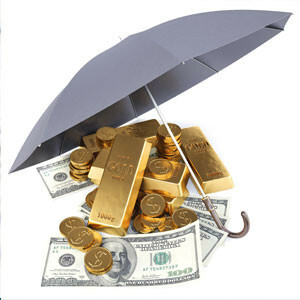 An umbrella policy provides higher liability limits ($1,000,000 to $10,000,000 and even higher if needed) over and above the other Business policies that you currently have. Without adequate protection, your business is at risk. This policy literally puts you under its umbrella so that when you exceed the liability coverage limits on your insurance policy you will still be protected. You likely have liability coverage – business General Liability, employers Liability and/or Business Auto. In the event of an accident, these will give you protection for both bodily injury and property damage – but only up to your policy limit. Beyond that, you would be responsible for paying the excess amount for which you are liable. That excess amount could be several million dollars! Besides providing increased liability limits, a commercial umbrella policy gives you these additional benefits: You are covered for defense costs and attorneys’ fees associated with claims against you that are covered by your umbrella policy but not by your primary policies. In some cases, you may even be protected against claims that are not be covered by your underlying policies. Contact us now…WE ARE YOUR ANCHOR WHEN YOU NEED US THE MOST!